It is a rare moment in life when you experience something so spectacular you know you’re going to remember the rest of your life. Whether it’s people, a natural wonder, a concert, a work of art, or food, you typically know soon that the moment will remain with you for years – if not a lifetime. Memories are powerful. They aren’t perfect photographs, but the more important to us an event feels, the more we remember it. When they stand the test of time – when they are all but impossible to replicate, then we know we were on to something. Several food memories stand out to me clearly. I’ve already talked about the best ice cream I’ve eaten. In honor of the new classic tradition of #tbt (Throwback Thursday for those of you who haven’t quite joined the ’10s. No judgment; I’m sure a 13 year-old would tell me how lame I am for still using the term), I’m sharing my best entree experience around this date a few years ago. It was Paris. It was March. 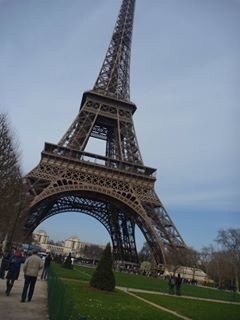 At the end of a ski trip, a friend and I decided to weekend in Paris. I’d only been to Paris once before at that point, and I’d really looked forward to taking the city by storm. So live it up we did. At the end of a long day packed with food and sightseeing adventures, I didn’t think I had much of an appetite for a late dinner, but I was willing to try. The setting? Scossa, a cafe-restaurant on Place Victor Hugo in the 16th arrondissement. You know how food tastes better when you’re hungry? In this case, I was the opposite of hungry before I started eating. After snacks, bread, great wine, and escargot, I was even less hungry. Sidebar: My first experience with escargot was surprisingly good. I liken it to calamari – odd texture but no odd taste. It is somewhat chewy, but it takes on the flavors of its cooking liquid and seasonings – in grand French tradition, typically butter and garlic. My take on escargot is this – why eat something that has no flavor of its own, if it’s already odd or expensive? How is it much different than, say, tofu, in that regard? The answer is the experience. So, we get to the main course (I can’t say entree without confusing the American – main dish – and French/Continental – appetizer – meanings) or plat in French. One of my friends and I both ordered a seared foie gras over ravioletti. We weren’t quite sure what to expect, and perhaps that was best. It overwhelmingly exceeded expectations. A significantly sized portion of foie gras was delicately seared to a crisp outer coating and firm, yet melt-in-your-mouth interior, with that rich, earthy and meaty flavor of foie gras. It was perched atop a dish of mini ravioli – ravioletti – filled with cheese and coated thickly with a perfect, cheese and parsley-accented cream sauce. Heart attack waiting to happen? Yes. It was worth it. I definitely had several eyes-rolling-back-in-my-head moments while eating it. I left no bite untouched. Already uncomfortably full, I still forced room for dessert – a warm, molten chocolate moelleux (before lava cake got old). I still managed to eat all of that too. The meal was so wonderful that when I returned to Paris a few months later, I went back to the same restaurant to try and have a repeat experience. But that’s the curious thing about ‘best ever’ experiences. They’re all but impossible to replicate. Dishes can be made again, but are they ever truly as good? I find that when I make the perfect cookie, pasta sauce, or steak, it never seems to taste as good as when I nailed it – unexpectedly. Is it really ‘less good?’ That question also is all but impossible to answer, because perception is subjective and expectation gets in the way. If we experience something amazing – part of the ‘amazing’ is because it exceeded expectations. So when we try to experience it again the same way, we’ve set the bar much higher. Maybe the experience comes close to meeting the bar we built up in our memories, but because it didn’t exceed expectations, it doesn’t seem quite as good. That said, the second experience with this dish was not the same as the first. It was very good, but the pasta wasn’t cooked quite the same; it seemed to not have been fully drained, so the sauce didn’t cling and flavor the ravioletti quite so well. Still, over time, it didn’t dampen the amazing memory of that first time. It didn’t make the dish any less exquisite. It remains – to this day – the best main dish I ever ate. I’ll still keep seeking that next, elusive best dish I’ve ever eaten. Challenge accepted! What was the best dish you ever ate? Previous Post Pisco, national spirit of Peru…or is it?